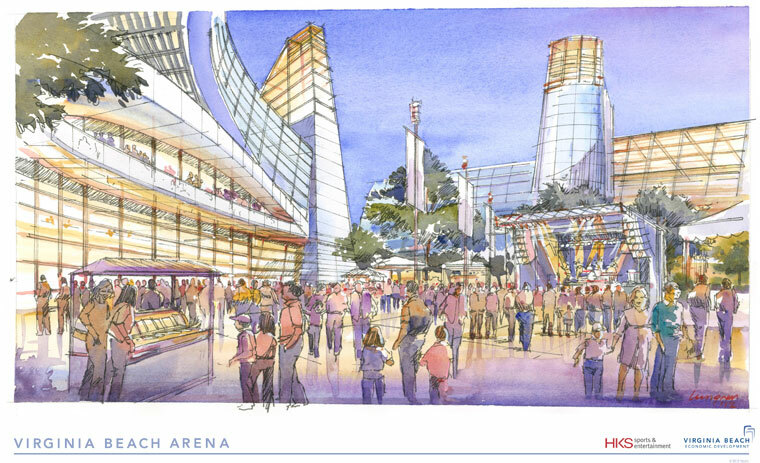 Virginia Beach wants to build a new arena – and they want Virginia taxpayers to help them. The city would contribute $195 million. The state will be asked for $150 million, of which $70 million would be for the arena, and Comcast-Spectacor, the Philadelphia-based sports and entertainment company that would lease and operate the arena and is working to recruit the pro sports team, would put in $35 million. So, the company that came a’calling for the new arena, is only willing to put up less than 10% of the proposed $380 million cost. The rest of the money is to come from taxpayers. If Virginia Beach wants to waste its money on something like this, I say go for it. But don’t ask me to help pay for it. Heck, I didn’t support it when Norfolk was chasing a similar pipe dream. The responses of members of the local General Assembly delegation are all over the board. But some are showing some common sense. Jones is dead on. There is no “extra” money in the state budget for such frivolous things as an arena. The localities have been under tremendous financial pressure these last few years, as the money allocated from the state has been reduced. If there is an extra $150 million lying around, I’d much prefer it go to the localities to help restore the lost funding, particularly to the schools. I urge the General Assembly to just say no to this request. …NO, NO, NO… I can’t say it any plainer. Cry about the cost of like Light Rail to the Beach that would help the average Joe, and then want to build an Arena for the rich?.I hope the folks in Virginia Beach have better sense! With all the water issues and flooding we have in this area and instead you want the state to put money in a stadium seems crazy. Maybe they should work on fixing some of the problems we have in the state first. Unlike all the other nonsense the politicians call “investments,” this one really is. We have an estimate of the costs (double them for the sake of reality), and we can estimate the payout. If this were a Good Investment, private financing would be readily available. The Lord of the Rings cost $285M, and I don’t think it got any government funding whatsoever. In short, if they have to ask, we can’t afford it. Roads, need I say more?